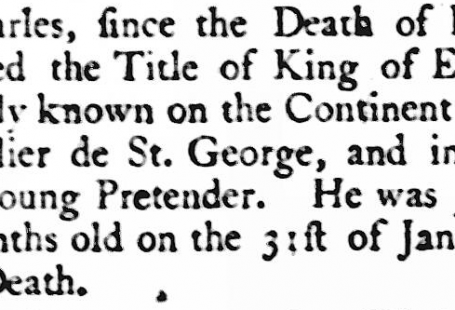 In last night’s episode, we learned that Danny Dyer is a direct descendant of King Edward III, his 15 times great-grandfather. 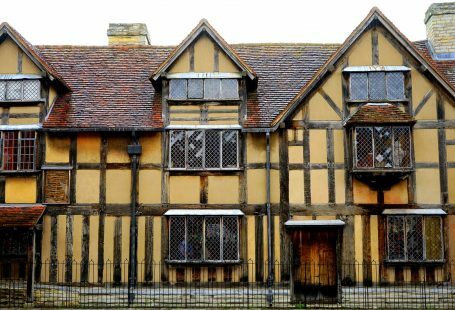 Many of us lack such famous ancestors, but that doesn’t make ours – and the times they lived in – any less interesting. Let’s take a look at Danny Dyer’s working-class ancestors – some strong male figures that Danny was hoping to find – and learn how the British Newspaper Archive can help you flesh out the lives of our predecessors. The Dyer line is full of shipyard labourers going back generations. Danny’s great-great-great-great-grandfather, Edward Dyer, started his seven-year apprenticeship in 1803 as a waterman at the age of 14. His son, Edward William Dyer, was born in 1823. He followed in his father’s footsteps by becoming his father’s apprentice. However, Edward William was born during a time of change; the Industrial Revolution was making sweeping changes to how businesses ran and how materials were manufactured. By the 1820s, inroads had been made into the work done on the river and at the shipyards. As such, Edward William decided to change careers and become a boilermaker, an occupation that arose as wood was replaced with iron as the primary construction material. 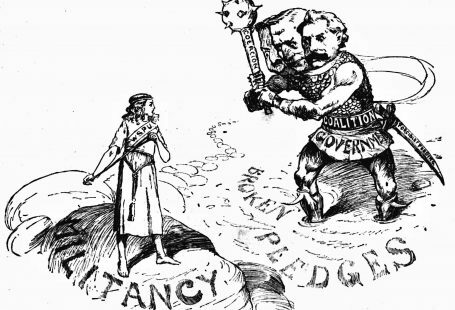 However, by the early 1900s, even this occupation began experiencing a decline. 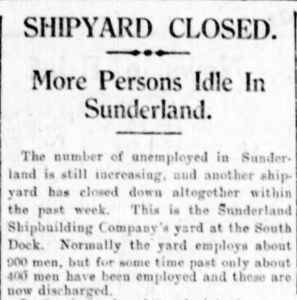 As the demands of the shipyards continued to change, so we observe a change in occupations. As the effects of industrialisation continued to spread, with machines replacing skilled manual labour and the cost of materials soaring, the consequences were felt across the entire workforce. Throughout his career, Danny’s great-great-grandfather Edward Thomas James Dyer jumped from various jobs within the shipyard, from an iron ship builder to a boilermaker to a boilermaker’s labourer, to simply a labourer. 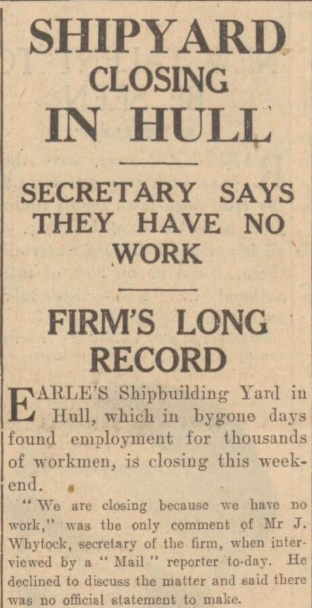 While the nature of the work and the level of skill needed had changed, there was still work to be had on the docks, but it was for a considerably lower pay. 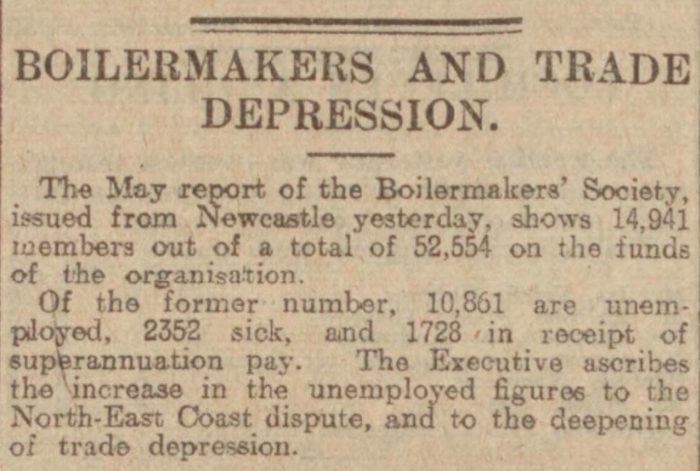 As the wages declined, so did the living conditions of its workers. 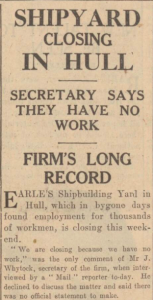 Despite these changes and the ever-increasing challenge of finding sufficient work to provide for one’s family, the tradition continued: Edward’s son, Danny’s great grandfather George Dyer, was also a dockworker. He joined the navy and served during the First World War from 1916 to 1919. However, after his service, he returned to the docks working as a labourer. 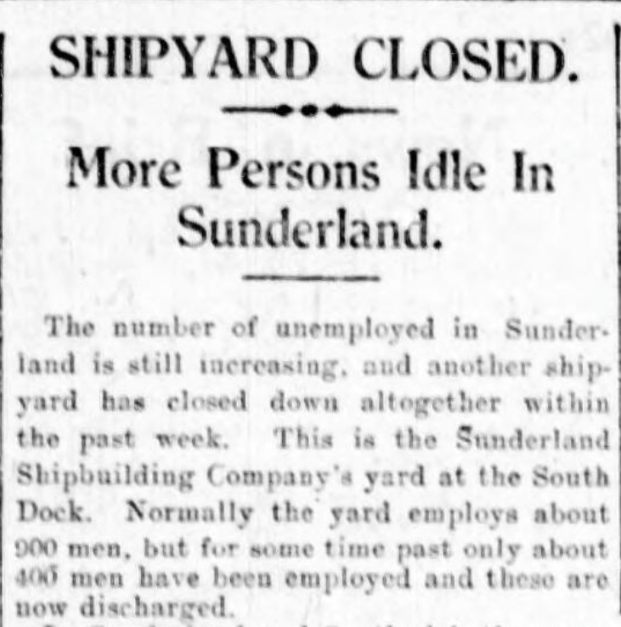 By the 1920s and 1930s, shipyards began to close in droves, leaving hundreds unemployed. 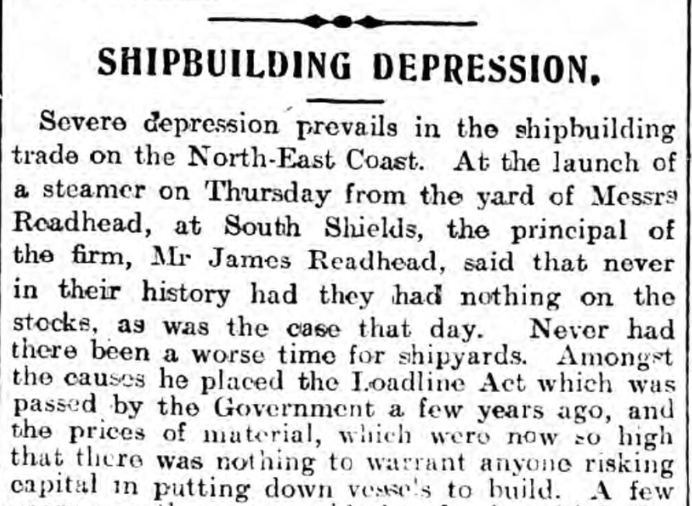 Many families who had worked on the docks for generations saw an abrupt end to that tradition. 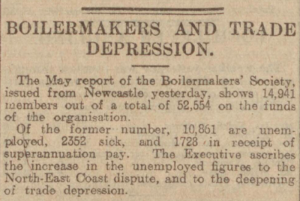 Such newspaper notices as the ones below can help you track trends in the workforce at the time your ancestor worked and thus help explain why, for instance, your ancestor switched careers or ended up in a workhouse. 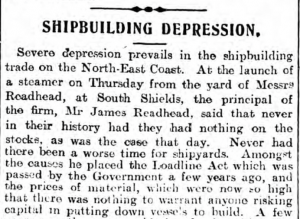 It was not only those in the shipyard business who fell on hard times in London in the late 1800s and early 1900s. In last night’s episode, we learned of Danny’s ancestor Mary Ann Buttivant, who experienced much turbulence and heartbreak in her youth. 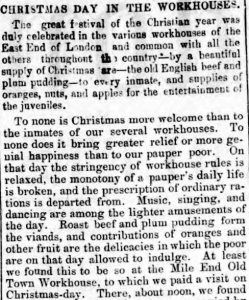 Born in 1878, Mary Ann spent her childhood in and out of the Mile End Workhouse. This was not an uncommon fate for many in the poorer parts of London, where being poor was crime enough to see you put in the workhouse. 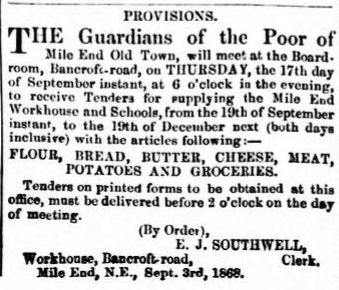 You can learn more about the local workhouses from newspapers from that time. 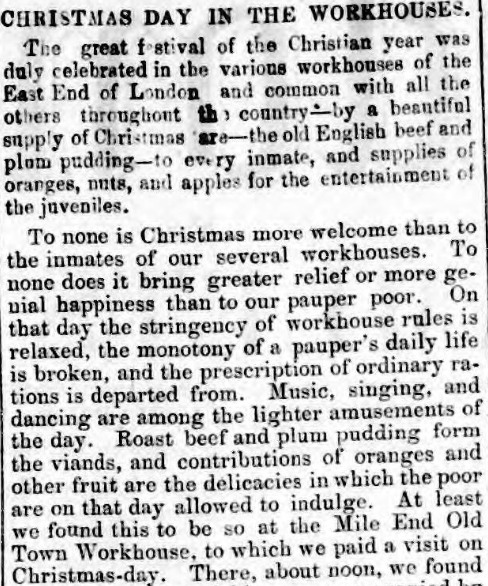 For example, Danny could learn from the East London Observer about what provisions were provided for the Mile End Workhouse and how Christmas was celebrated there. In her late adolescence, Mary Ann was dealt a grievous blow. At the tender age of 17, she gave birth to a baby girl who died shortly thereafter. It appears from the records that her umbilical cord had not been tied off and the child hemorrhaged. In what was most likely a panicked state, Mary Ann sought to conceal the body of her deceased child. When she was found out, Mary Ann was brought to court on the charge of endeavouring to conceal her child. While Mary Ann’s particular case is not found in the newspapers, other women charged with the offense can be found. This can help you view such events in the proper context and understand more of the charges and likely sentencing. Newspapers provide a rich source for expanding your family’s story – whether your ancestors were famous or not! Search for your ancestors’ names, occupations, or places of residence and see what new details and context you can discover about your family.